It's my mother's 92nd birthday this weekend. My brother is doing the cooking, so I've been put in charge of the booze, an equitable division. With this October's augustness in mind I went to a proper wine shop rather than the bargain shelf of the Co-op (my usual resort). 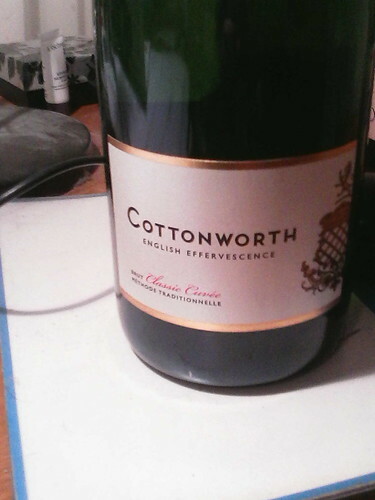 I'd meant to buy some champagne, but on a whim decided to get English Sparkling Wine - a first for me. Eventually I found one made in the Test valley, where I grew up and where my mother still lives. The chalk soil is perfect for the job, the label tells me, producing "English effervescence". I just hope it won't taste too Brexity. The other bottle was more obviously topical. 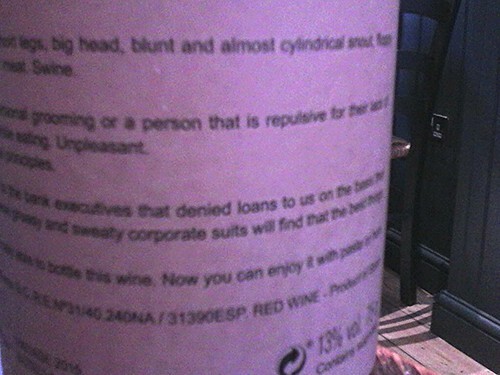 It cost more than I usually pay, but even what I consider an expensive bottle of wine is still far too cheap to trouble the attention of a banker, so perhaps the makers were safe in using the label (front and back) as a place to sound off about the bankers who refused to lend them the money to get their business off the ground, a refusal made on the basis that wine is "not a seizable asset" (why not?). 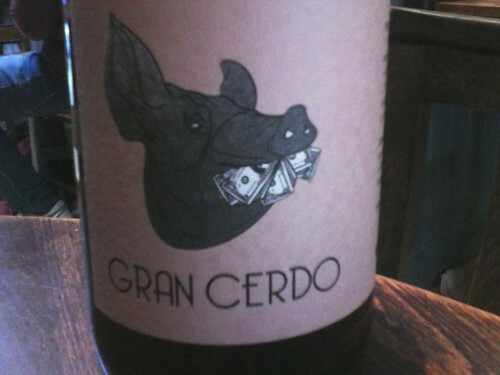 It seems a rather eccentric use of a label - a space more normally reserved to describe the wine itself - but I imagine these little piggies know their market. If we feel that we're somehow getting one over on the bankers we'll buy half a case, and the overdraft be damned! Well, hey, that second one says Gran on it, after all! Happy birthday to her. Happy birthday to your remarkable mother. Long may she effervesce! Thank you! She remains in remarkable fizzical condition. 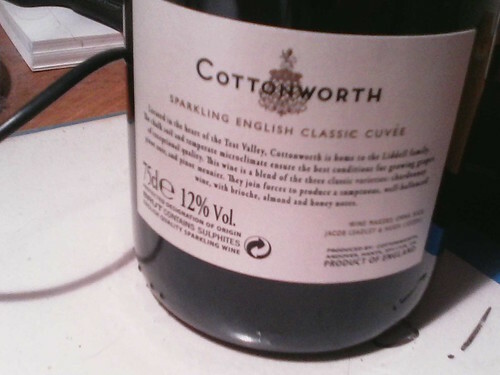 I've heard that the English sparkling wines can be better then the French ones, but I love that the first wine has a local connection for your mother.